Connect with employees, customers, and clients conveniently and cost-effectively. Cooper Thomas supports all phases of the software and implementation lifecycle for EHRs. Maximize your return on investment and improve information-sharing and collaboration across your organization. Cooper Thomas supports all VA Medical Centers and VISNs with ICD-9 and ICD-10 Coding, Training, and Auditing Review Services. From corporate meetings to conferences and workshops – connecting with your workforce and customers is an essential element of business. Virtual platforms can help you reach a wider audience; yet, most virtual tools have not fully captured the value and feel of a face-to-face meeting. Cooper Thomas’s virtual training and meeting services and next-generation virtual platform can help you get the most out of your virtual events. 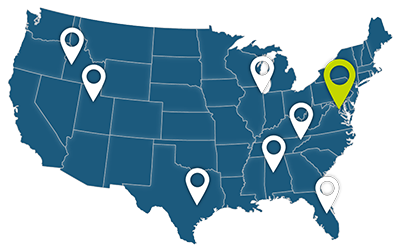 With our virtual event platform, you can connect with employees, customers, and clients conveniently and cost-effectively. Our unique speaker-training program guides your presenters to deliver more effective and engaging virtual presentations. Our speaker coaches provide focused support to help busy subject matter experts become polished presenters. We also provide project management and program support for events ranging from single training sessions to multi-day conferences, as well as on-site support for virtual and face-to-face events. A large, Federal healthcare agency sought to train more employees, more frequently, while reducing its overall training budget. Cooper Thomas helped the agency transition from an annual face-to-face conference to a year-round virtual training environment, leveraging new technologies to create innovative training programs for clinicians, researchers, IT professionals, and management staff. Now, participants are able to interact with speakers, vendors, and each other, and the organization has saved millions of dollars in travel and conference expenses. The result has been a more cost-effective and responsive training program, serving a greater number of participants, at locations and time that are convenient for them. The transition to a virtual environment resulted in increased participation in training programs, greater flexibility for participants, and the creation of an archive of training resources which can be accessed by users around the world – all at a 5x cost reduction compared to the traditional face-to-face model. 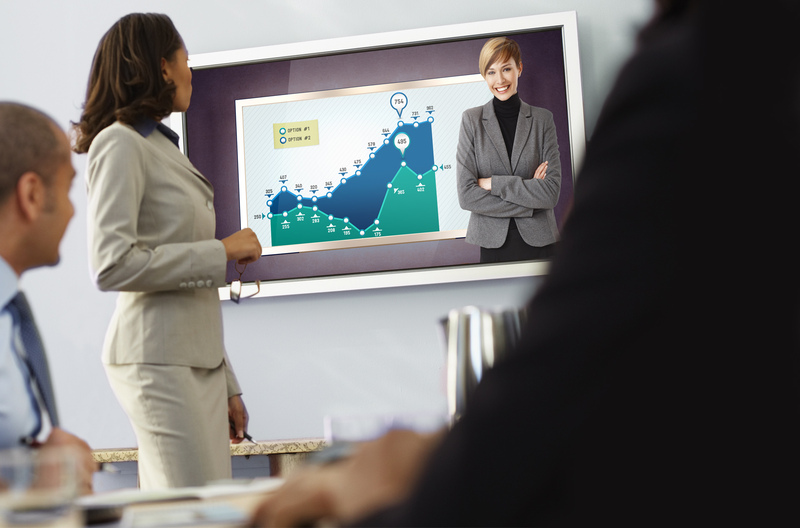 Most virtual meeting and event platforms do not deliver the value and feel of face-to-face interactions. Let us to help you deliver engaging, interactive, and live virtual events with our tested, state-of-the-art technology solution. Click to learn more. 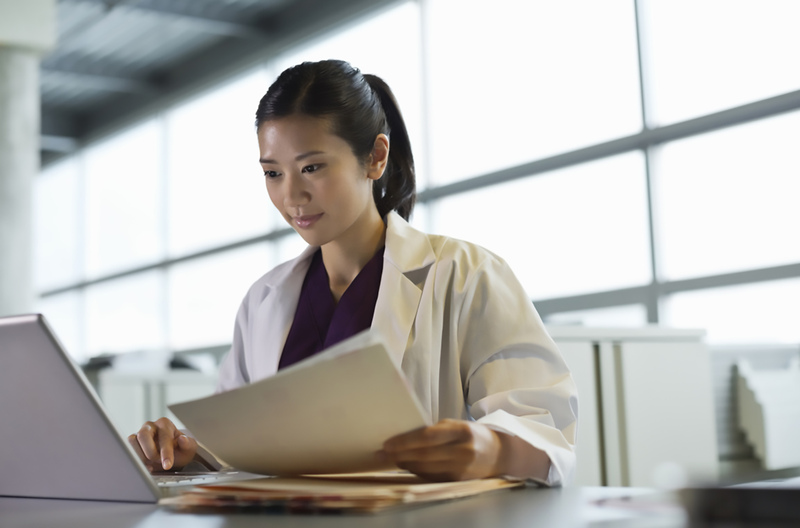 Electronic health records offer greater access to relevant health information, improved patient safety, and sophisticated clinical support tools. Whether you buy a commercial EHR system or build a custom system, we can help. Cooper Thomas supports all phases of the software and implementation lifecycle for EHRs, including development of business requirements, identification of technology options, modification of custom and off-the-shelf products, software development, testing, and deployment, configuration management, design and construction of front-end web portals and back-end databases, and user acceptance testing to ensure that applications meet the needs of users and administrators. We can help you streamline your business processes, cleanse and migrate data to your new system, develop training and communication plans, and assess the effectiveness of your systems and processes. With specialized expertise in the privacy and security of protected health information, we develop EHR access policies to guide the use of EHRs internally and the exchange of information with external healthcare partners. A multi-site health system must implement a Federally-mandated medical diagnosis classification scheme in thousands of systems enterprise-wide, while maintaining historical data for computational and analytical purposes. Cooper Thomas coordinates the transition from ICD-9 to ICD-10 for a large, Federal health agency, and provides guidance, information, and training to stakeholders throughout the department. The implementation of ICD-10 requires coordination at all levels of the organization and across hundreds of field sites. We facilitated dozens of sessions with subject matter experts and business partners to document requirements for modifications to clinical and administrative applications, data stores, and business processes. With input from IT staff and business owners, we created a department-wide integrated master schedule. We developed a comprehensive communication and awareness program, helped assess and document the resource needs of participating offices, and designed a comprehensive ICD-10 training framework for a range of users. We now manage the master schedule, conduct awareness sessions for medical center staff, regularly brief executive leadership on issues and mitigation strategies, and monitor metrics to measure the impact on the field. Veterans Service Organizations (VSOs) represent thousands of veterans who seek services and benefits from Department of Veterans Affairs (VA). To help prepare claims for disability benefits, VSO representatives often need to sort through thousands of pages of paper health records. VA sought a way to help the VSOs who were helping veterans prepare their claims. Cooper Thomas designed and managed a pilot program to test the use of a new software tool which enabled authorized VSO reps to search a veteran’s electronic health record for relevant key words and dates. The result was greater accuracy and thoroughness of the documentation submitted to VA, and a reduction in the time it took to prepare and submit disability claims. With the success of the pilot program, read-only electronic access was expanded to other authorized users, including clinical researchers. Cooper Thomas evaluated security and privacy requirements, evaluated technology options, helped implement policies, processes, and tools to configure and monitor user access, and now manages the on-line request process for read-only access to VA electronic health records. The proliferation and complexity of desktop, web, and mobile applications can present a complicated and costly challenge for many organizations. Cooper Thomas can help you maximize your return on investment and improve information-sharing and collaboration across your organization. We have extensive experience creating and delivering scalable, intuitive, integrated solutions to meet your organization’s needs – from simple tools to enterprise applications,. Our Interactive Services Team uses a collaborative, iterative, cross-functional approach to designing and developing websites and other software applications. Leveraging Agile and Waterfall methodology best practices, we support all stages of the application development lifecycle – from requirements gathering to design, development, test, implementation, and sustainment. A successful enterprise-wide training program had become challenging to manage using email and SharePoint. The director needed a system to track action items and deliverables, share information and training resources, and coordinate with program staff and stakeholders. Cooper Thomas created a web portal as a single source for users to access program resources. With graphics and photos, the new design offers visual cues to help users easily navigate the site. Community discussion areas and meeting note templates allow for collaboration among all stakeholders and provide standardized communication tools in one shared location. Integrated access to forms, templates, graphics, and “how-to” videos provides clear instruction to end-users and guides them step-by-step through the training development process. 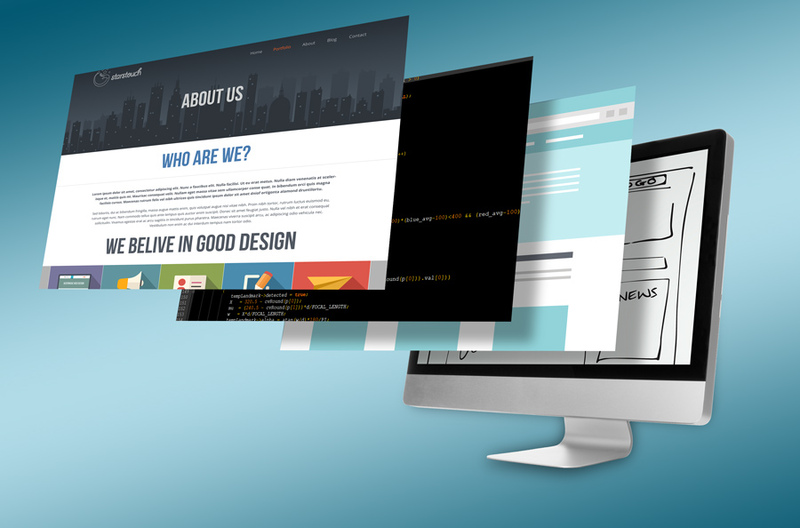 Responsive design allows users to access the portal from computers, tablets, and mobile devices. The system incorporates Windows user authentication via LDAP integration to eliminate the need for “one more password”. A government client who oversees training programs for thousands of participants each year requested a redesign of the existing internet and intranet websites. The overall design of its customer-facing and staff-facing websites was confusing and counter-intuitive. Locating relevant, useful information was difficult and frustrating. Employees preferred to work in silos and frequently stored information on their local hard-drives, using email to share resources. The client wanted to promote knowledge-sharing and leverage internal subject matter expertise to better support customers and employees. Cooper Thomas overhauled the layout, branding, and functionality of the sites, incorporating new features in a more appealing design, and developed custom tools for participants, organizers, faculty, and volunteers. We incorporated Google Analytics to track site usage and user engagement, integrated social media tools, and created a graphics library of logos, infographics, and presentation templates to help users develop and customize their training materials. New features include promotional videos, calendars, and listings of upcoming training events. Users are now able to complete course evaluations, document education credits, and register for focus groups. And organizers can coordinate sessions and tracks, and monitor virtual events in real time. Health Information Management (HIM) Medical Records Coding Services are essential for meeting the health care needs of our nation’s Veterans. Cooper Thomas is proud to provide services under this contract to all 141 VA Medical Centers and Outpatient Clinics throughout VA’s 23 VISNs. Our company and team members have over 30 years of experience in delivering quality coding, audit, review, and training workshop services. Under this five (5) year Blanket Purchase Agreement (BPA), Cooper Thomas provides coding of Outpatient encounters, including Radiology, Lab, Surgical, Pathology, Anesthesia, and other Ancillary Services. Coding of Inpatient encounters includes Mental Health Services. Coding services include ICD-9, ICD-10, CPT, HCPCS, and DRG assignment. We conduct audits and reviews to ensure the consistency, accuracy, and appropriateness of previously assigned codes. Our approach is collaborative in nature – we work with coding staff and HIM managers to review preliminary findings, and include staff comments and feedback in our final reports. 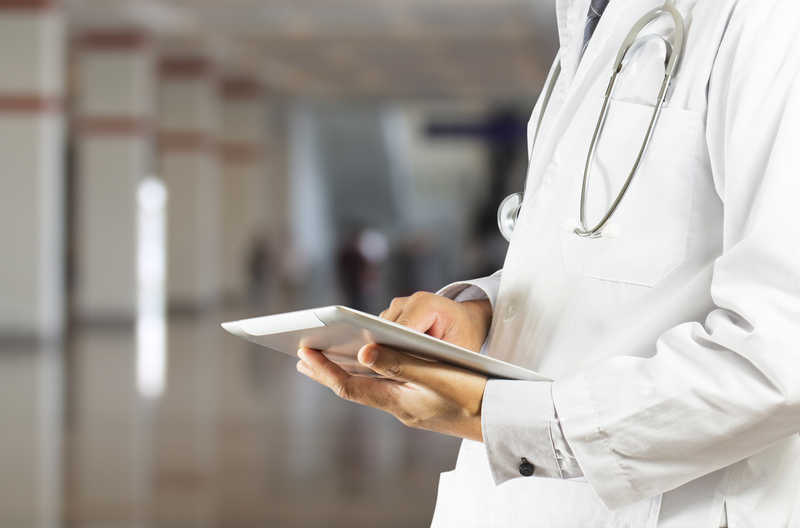 Is your facility ready for the ICD-10 “go-live”? Cooper Thomas’ knowledgeable staff can assist you with the full range of HIM coding, audit, review, and training services, and help you transition smoothly from ICD-9 to ICD-10. Cooper Thomas has been doing business with the Federal government since 2003. Using our GSA Schedules and other contract vehicles, Federal, state, and local government customers can easily obtain our professional and technical expertise. Cooper Thomas is a woman-owned, small business dedicated to improving healthcare programs through health information management, technology and program management, and strategic communications services. Cooper Thomas actively supports the local and national charitable organizations listed below. Through our charitable donations and volunteer activities, we strive to be good corporate citizens and neighbors. If you request information from www.CooperThomas.com or any other product or service offering directly owned by our company through one of our online request forms, our company policy is to store your business-related information (such as company name, email, etc.) for the exclusive purpose of serving our prospects and clients. This information is used for business contacts and internal purposes only. ©2014 Cooper Thomas LLC. All Rights Reserved. Health and Human Services — Office of the National Coordinator Blanket Purchase Agreement (BPA). Department of Veterans Affairs T4 — Transformation Twenty–One Total Technology indefinite delivery/indefinite quantity (IDIQ) contract vehicle. Take Green line to U St. /Cardozo stop. Exit the Metro on the 10th St. /African American Civil War Memorial side. When you come off the escalator at street level, walk over to the CVS. You will be facing U St. at 10th. Cross U St., walk up 10th St., turn right on V St. and go half a block to 923 V. If you find yourself at the other exit (emerging near Starbucks), walk East on U St. (toward SunTrust), cross U at 10th St. and proceed as above.